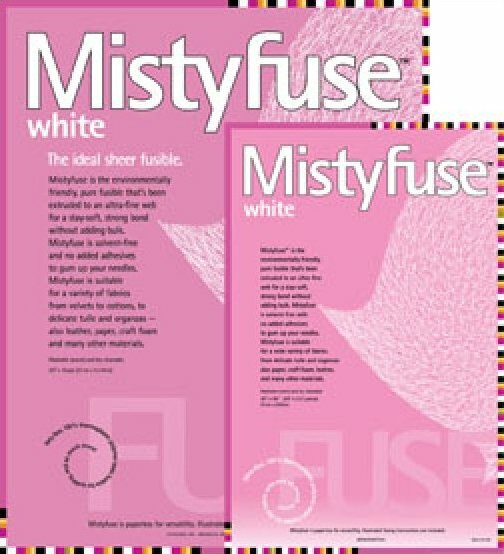 Mistyfuse White fusible web. Super sheer solvent-free fabulous fusible web. Package contains 2.5 yards of 20" wide fusible.